– Pre heat the oven to 200 Celsius. 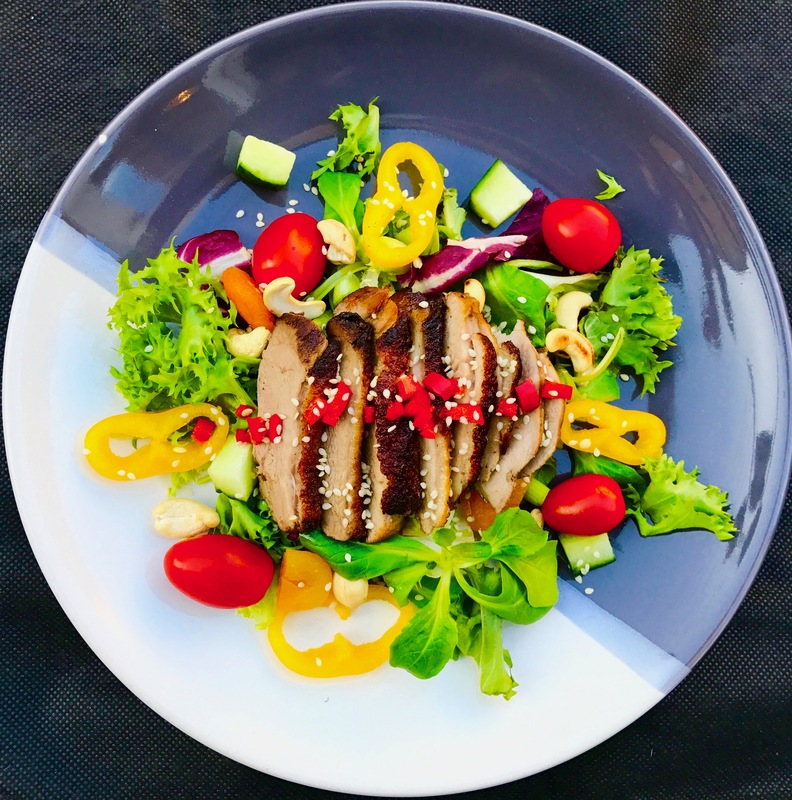 – Season the duck breast with salt, pepper and 1tablespoon of honey. – Fry the duck breast in the rapeseed oil( skin side down) until it is golden brown . Then turn and fry the other side for 3 minutes. – Transfer the duck onto the baking tray and cook it in the oven for approx 15-18 minutes. – Mix the red chilli, fish sauce ,lime juice and the rest of honey in the bowl. Leave it to one side . – Put the mixed salad leaf,cherry tomato, dried apricot, spring onion , yellow pepper onto a serving plate. 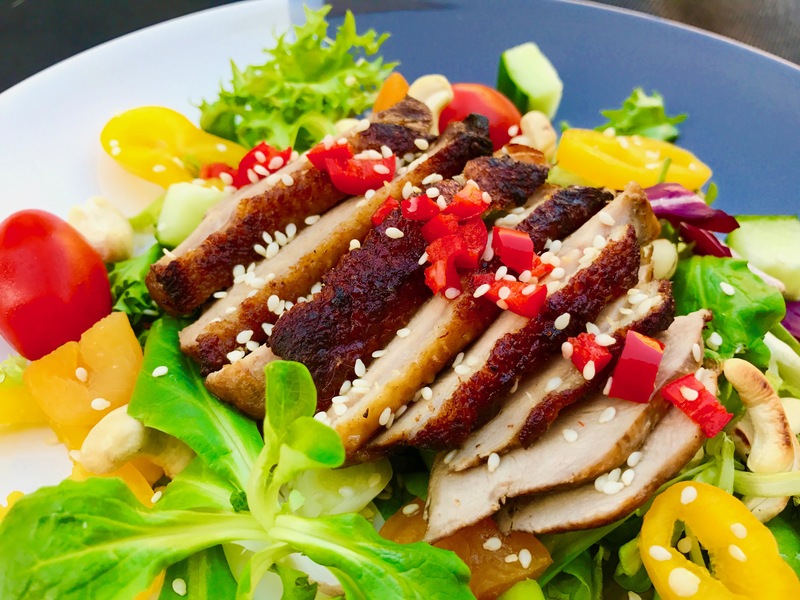 Enjoy your very own Duck Salad With Chilli And Lime Dressing.